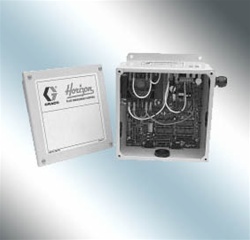 Slide-In Mounting Bracket – Optional slide-in bracket simplifies reel mounting. 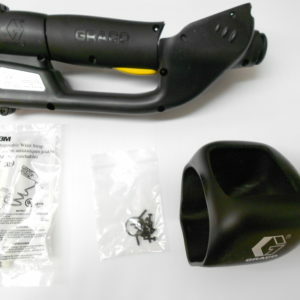 Easily allows one person to hang the reel in an overhead application. Latch Spring – Heavy duty latch spring is designed for years of trouble-free service, and can be replaced without removing or disassembling the reel. 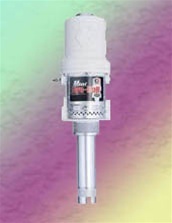 Enclosed Spring – Cartridge style spring motor is packed with grease and fully enclosed for extra safety. Springs are factory balanced for each size reel. 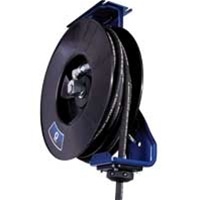 Mounting Flexibility – Reels are constructed with strength beads for added rigidity. Rolled Edges – Hubs are constructed of heavy gauge steel with rolled edges for extra strength and maximum protection. Self-Lubricating – 1″ double supported steel axle with 1″ self-lubricating precision bearings. 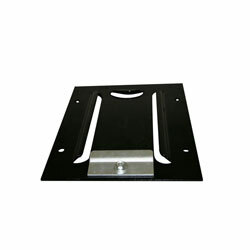 Rigid Construction – Base plate and support post are built from heavy 1/4″ plate steel to reduce flexing and fatigue. Hi-Flow Swivel – Load-free high-flow swivel allows maximum product delivery, and can be replaced without removing or disassembling the reel. Durable Finish – All Advantage Plus Series reels are powder-coated black for increased durability. 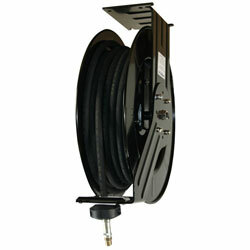 Be the first to review “American Lube TIM-3628-25 1/2″ x 25′ Oil Reel” Click here to cancel reply.